A podcast about the Chinese tech industry by Tom Xiong, Eva Xiao and Jacob Loven. Created together with RADII (radiichina.com), an independent media platform about today's China and its next generation. 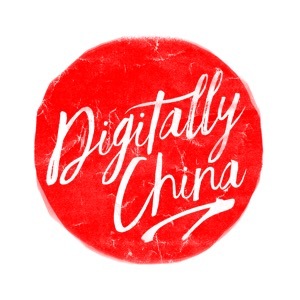 Digitally China is a bi-weekly podcast where we together with experts discuss the fascinating stories from the Chinese tech industry from a Chinese and global perspective. New trends and technology will change our world - Digitally China wants to deliver a fresh perspective on how tech will impact both our today and tomorrow. Digitally China is co-hosted by Tom Xiong (founder of the startup Move Shanghai in China), Eva Xiao (an established China-based reporter) and Jacob Lovén (10+ years experience of successful Internet companies). All the music in the episodes is licensed. "Live" Special: Can Chinese Innovation Disrupt Amazon? Will Next Enron Come From China Tech? Is China a Better Place for Tech Talent than Silicon Valley? Tencent Music vs. Spotify - friend or foe?